4 Shots From 4 Films: Happy Birthday, Spider-Man! 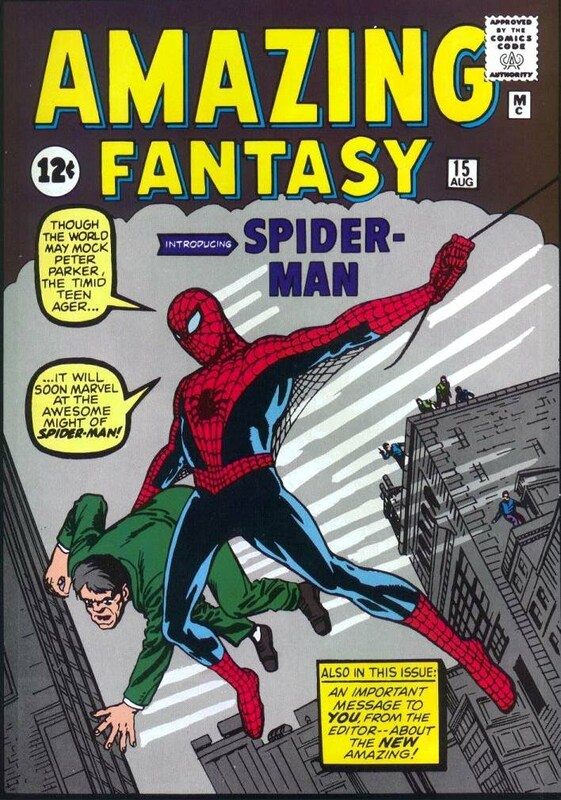 It was 56 years ago today that The Amazing Spider-Man made his first appearance in the 15th issue of Amazing Fantasy. 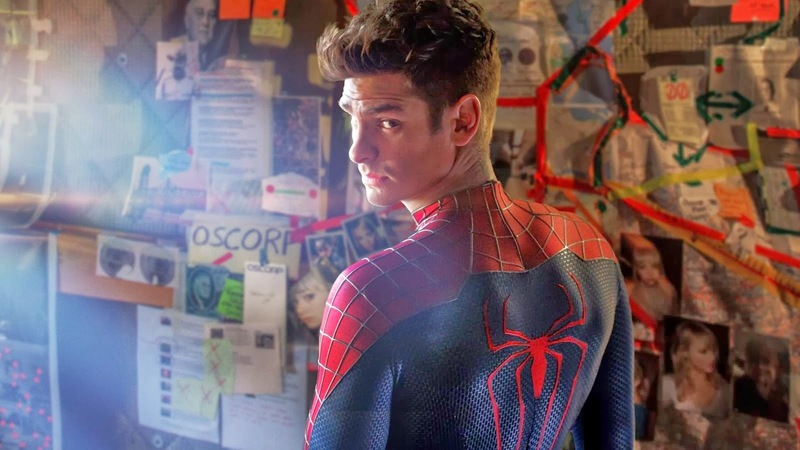 After being bitten by a radioactive spider, Peter Parker developed super power but it was not until his uncle was murdered that Parker learned what it meant to be a hero. With great power comes great responsibility and, as these four shots from four films demonstrate, movie stardom! 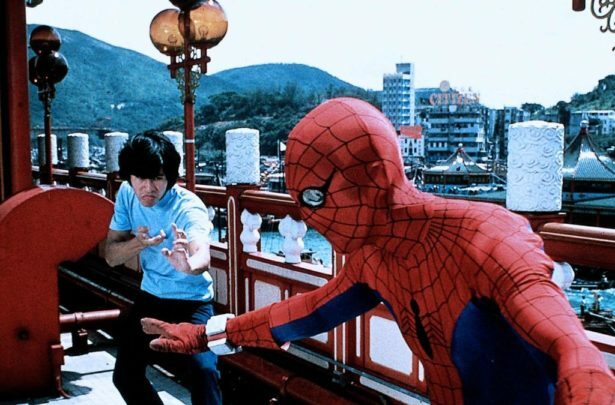 Over the years, Nicholas Hammond, Tobey Maguire, Andrew Garfield, and Tom Holland have all played America’s favorite web-spinning super hero. Long before Jon Watts directed Spider-Man: Homecoming, he directed another film about some unlikely super heroes. The video for Swedish House Mafia’s Save The World shows us that the world is a dangerous place but it also encourages us to fear not. The dogs are here! Normally, I’m not really a dog person but I make an exception for the dogs in this video. To be honest, cats probably wouldn’t make very good superheroes. For one thing, all the villains would have to do would be schedule their nefarious schemes for whenever Supercat is taking a nap. Add to that, cats are pretty self-centered. That’s one reason why I love them but, at the same time, it’s doubtful they’d go out of their way to save a bunch of strangers. Jon Watts Is Famous Now So, Of Course, Here’s The Trailer For Clown! Director Jon Watts is having quite a career right now! Last year, Cop Car was released to considerable acclaim and, as a result, he was hired to direct the upcoming MCU blockbuster Spider-Man: Homecoming! Here in America, Cop Car was pretty much sold as being Watts’s first film. However, that wasn’t really the case. Before Watts directed Cop Car, he made a movie called Clown. Clown was executive produced by Eli Roth and, though it did play in Europe in 2014, it was never released in the U.S.
Now that Watts is about the become the next big thing, Dimension Films is going to give Clown a limited release in June. Apparently, Clown is about a man who dresses up like a clown for his son’s birthday party and then discovers that he can’t take off the big red nose. The clown makeup is apparently demonic and it ends up possessing him. And apparently, it’s not a comedy. Cop Car opens with two young boys, Travis (James Freedson-Jackson) and Harrison (Hays Wellford) walking through a field. Over the course of the film, we really don’t learn that much about either Travis or Harrison. They speak in the tones and accent of childhood and the trailer park. They’re just two ordinary kids, who appear to be bored out of their mind and who can blame them because it appears that they live out in the middle of nowhere. And then, suddenly, their boredom ends. They comes across a deserted cop car sitting in the middle of the wilderness. After a successive number of dares, they end up inside of the car. And then, they discover that the keys are still in the car as well. Soon, Harrison and Travis are taking turns driving the car, roaring down the highway, nearly running an irate motorist (Camryn Manheim) off the road and basically having a great time. What the kids don’t know is that the cop car belonged to Sheriff Kretzer (Kevin Bacon), a grim-faced lawman who isn’t going to allow two little kids to make a fool out of him. Even while Harrison and Travis are playing around in the car, Kretzer is pursuing them. Along the way, Kretzer is reduced to stealing a truck, gets stopped for speeding, and basically sacrifices any ounce of personal dignity that he may have. Along the way, cars crash and cows are nearly run over. And it all sounds like the making of a comedy, doesn’t it? Just from reading the plot description, you might be justified in thinking that Cop Car is a white trash version of Ferris Bueller’s Day Off. Well, make no mistake. Cop Car has its funny moments but it is definitely not a comedy. Sheriff Kretzer may occasionally be a bit of a bumbling adversary but he is no Principal Rooney. Instead, Kretzer is a vicious and effective killer. The reason Kretzer was away from his car is that he was busy burying a body in the woods. And what the kids don’t realize, at first, is that there’s another body in the trunk of the car. Kretzer is determined to get back his cop car and he’s willing to kill the boys to do it. Even worse, Kretzer’s badge and uniform give him both the ability and the authority to do so. There’s one particularly effective scene where Harrison and Travis playing with the weapons that Kretzer left in the car is juxtaposed with Kretzer pouring a baggie of cocaine into a toilet. But, at the same time, I almost wish that the whole drug dealing subplot had been left out of the film. When we first meet Kretzer, he’s scary precisely because his motives are unknowable. He’s an authoritarian with a badge, and a bad mustache. The more specific the film gets about Kretzer’s motivations, the less interesting he becomes. Imagine if Kretzer has simply been an unstoppable force of wounded machismo, motivated by nothing more than his belief that his law is the only law that matters. By making Kretzer a criminal as well as a cop, Cop Car dilutes its otherwise strong critique of the pro-authoritarian strain that currently runs through American culture. As a thriller and chase film, Cop Car works pretty well, though the first half is significantly better than the second. (The second half gets a little bogged down with the man in the trunk.) 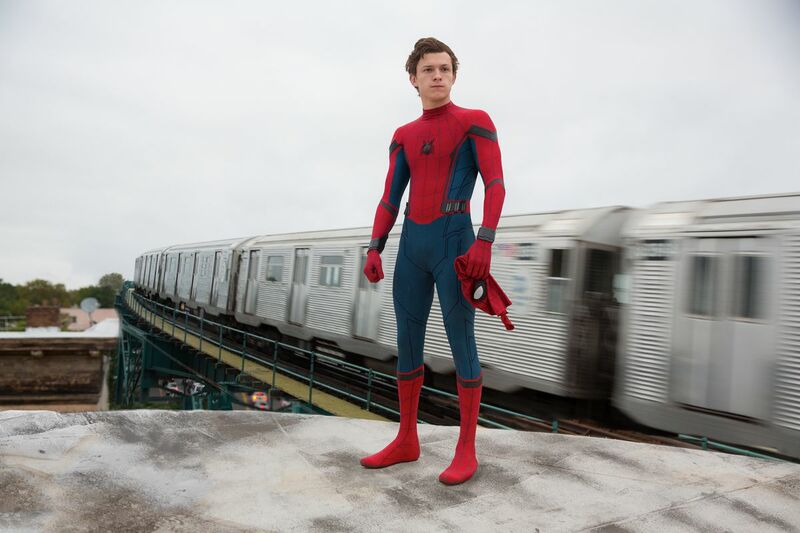 Director Jon Watts keeps the film moving at a good pace and he shows that he knows how to generate suspense. There’s a lengthy and narratively risky scene where Kretzer repeatedly tries and fails to pick a lock but the scene pays off in the end and Watts deserves some credit for having faith in the patience of his audience. But really, Cop Car works largely because Kevin Bacon has become a national treasure. It’s always fun to watch him throw himself into playing off-center roles like Sheriff Kretzer. Bacon is smart enough to play up Kretzer’s stupidity without ever downplaying his dangerous and cunning nature. It’s a great performance in a pretty good film.